Fire, water, earth, wind—these four elements coalesced to form the world as we know it. 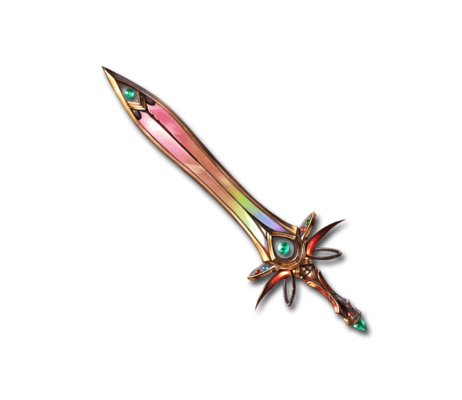 This rainbow-colored blade is capable of unlocking the secrets of creation, allowing the wielder to control them at will. Hidden Utopia Massive elemental damage to a foe. Tetra's Essence This is the essence of greatness. Gain its power by using emblems. Tetra's Humanity When main weapon: 10% Bonus Elemental damage effect to allies whose elemental ATK is boosted.